This entry was posted on August 4, 2011 at 2:53 pm and is filed under 2011 Booker Prize, 2011 Giller Prize, Author, deWitt, Patrick. You can follow any responses to this entry through the RSS 2.0 feed. You can skip to the end and leave a response. Pinging is currently not allowed. Kevin: I am a Coen Bros fan and so I’ll probably like this. I don’t go for historical fiction but I’m going to make an exception for this one. I’m scheduled to review if for Mostly Fiction. Guy: It has the kind of dark side that appeals to you. And, like both Grey and McCarthy, I’d say that “history” is used for setting but is not the forefront of the novel. I sampled this on my Kindle and it does sound interesting though I’m not sure whether to buy it yet. I just finished Snowdrops and I really liked it. I wonder what you will think of it. Mrs. B: This is a hard one to describe without spoiling — I don’t think it is everyone’s kind of book but am sure it will have some passionate fans. Snowdrops arrived today. It is probably number two or three on my list coming up. I’m one of those passionate fans! My favourite film ever is ‘The Blues Brothers’ and I saw Charlie and Eli right from the start as Jake and Elwood doing a Coen brothers style Western (my review here. OK, it’s doesn’t really have the literary legs to go it any further, but it was a fabulously fun read, with an unexpected serious edge to it for me. I can’t disagree with a word you say — that’s exactly what The Sisters Brothers is. And we should be happy that there are reads like this, even if they are not for everybody. A debate question here: Gunslinger novels tend to have “male” appeal. This one seems to have impressed female readers (my contact at Anansi says it is one of her favorites of recent years). Could one of you “Bonnies” (that’s a historical reference, not a gender assumption) offer some thoughts on what deWitt has done to achieve that? I think other female visitors here might be interested in the response — I certainly am. EDIT: Jackie at Farm Lane Books has weighed in with a review that speaks to my question. Her opinions (both positive and negative) make sense to me. I have to admit I’m rather tempted by it, but then I rather liked Riders of the Purple Sage. It’s interesting to see new westerns being written, and it’s good that in the main it’s fast moving because unless you go into McCarthy territory it really ought to be. Killer with a heart is an utter cliche, but genre often makes use of cliche so I can forgive that as long as the book doesn’t strive to be more than it is. I’d be more hesitant if the book dwelt on the moral issues at great length given they frankly don’t sound very interesting. All of which leaves me with something I might well enjoy as a light entertainment. It’s a bit mystifying as a Booker longlistee though. A fine review which whets the appetite yet further. I wasn’t sure what you’d make of this at all. The Coen’s analogy is good if we’re talking Barton Fink and less so re: True Grit, but I’m a fan. Max, Lee: I think the book tilts more towards farce than moralizing (and I don’t mean that to taken as a negative). In fact, it is probably the best thing about it because it doesn’t take itself too seriously (that adds a Raymond Chandler-like element). The violence and killings are almost stylized, if that can be possible in a written work — you can see what the Coen brothers would do with this, but I wish Sergio Leone was still around to have a go. I’m still only half way through the Booker list and am quite befuddled at what this jury thinks is a good book. An hypothesis is coming together so stay tuned for the next few books and we’ll see if it develops some substance. Tilting towards farce makes it even more interesting. I note too that it comes in at under 300 pages which is a crucial test for me. I’d have no appetite for an entertainment novel that came in longer than that. I’ll be interested to see your hypothesis Kevin. For me at the moment the list doesn’t look very literary. Obviously books can be both genre and literary fiction at the same time (as McCarthy among many others demonstrates) but I’m not sure that’s the world we’re in over the breadth of the list. Here’s the barest outline of the hypothesis, Max. While genre books have traditionally been shunned by Booker juries, this one loves them so much that they have turned the Prize into their idea of “best of genres” (you know, like how dog shows get to “best of show”) with the Booker winner as their “best of show”. With only a couple of exceptions, there is a definite story/action tilt to the genres’ chosen (so novels like Cedilla and We Had It So Good don’t make the list — too “literary” if you will). This jury wants pace, whatever the genre, and a minimum of that moody, contemplative stuff. And the nose needs to be thumbed at past “literary” Booker winners (five of six didn’t make the longlist) — I’ve only read two of the five (Swift and Enright) and both rank ahead of at least four of the seven that I have now read from the least. I still have six novels to be read, but my hypothesis is that this is the Anti-Literary Booker jury (as opposed to the Guardian’s Not the Booker): Let’s jump into genre in a big way. The problem is that while genre can certainly be literary, by definition it does not have to be. And, when it isn’t, that certainly restricts the audience. And bad genre is still bad reading, even if it does happen to be “best of class” submitted this year. An even bigger problem is that a genre-based approach invites historical comparison — and most of the ones that I have read so far don’t stand up well at all in that (The Sisters Brothers would). Sorry, that turned out longer than intended. Consider it a hypothesis in progress and your comment happened to provoke the decision to sketch a first draft. This was my first read from the list. I think your review is very accurate. When I think of the movies, True Grit, Blood Simple, No Country and even Fargo, there’s a mood similarity with this book. It’s violent yet strange. There’s a casual approach taken to the violence. This will definitely translate well to film. Is it Booker material? I’m not sure. It depends on frame of reference. If Room is a reference point then this compares favourably both in depth and literary merit. If Midnight’s Children and it’s ilk would be a reference point then it’s very light and not particularly thematically rich. I enjoyed it a lot. It was a quick read, moved well and I have affection for it. I like the Coens and this type of writing. I wouldn’t be upset if it shortlisted but don’t see it as a winner. Rick: I’ll be interested in what the Giller jury thinks of it, since it is eligible there as well. It appears to me that Anansi is putting some promo effort into it — Western fiction seems to be a pretty small genre (as opposed to Western film) but the comments response seems to indicate that those who take the venture with this book feel it was worthwhile. That was certainly the case with me — it may well make my Booker shortlist, but that is probably more a refelection of the weakness of some of the other titles. I have to say that this book is the next of the Booker longlisted titles that I am going to read partly because it just sounds so different, and partly due to this review too – I am intrigued by the idea of it all. I was just debating which one to read next, this or Yvette Edwards or Jane Rogers were the two choices, but I do fancy something altogether different so will see how I fair with this one. Am looking forward to it all the more now. Simon: Our tastes are quite different but I think this is a novel where they may overlap — deWitt’s premise verges on the outrageous, but he delivers on it with some flair. I would not be at all surprised to see The Sisters Brothers acquire a cultish following down the road (and I do not mean anything negative by that). I am not so sure that our tastes are so different always Kevin, especially on some of the longlist of this years Man Booker. I think you would be surprised with my thoughts on Pigeon English and indeed The Strangers Child which I am struggling to review to be honest. I’ve always been a fan of the Western genre. (I think it may have something to do with those Little House on the Prairie books I read as a kid). I read & reviewed the Sisters Brothers before it made the Booker Longlist and it impressed me for a few reasons. First, I thought it was well written. Second, I enjoyed the farce. Mostly, though, I found the dynamic between Eli & Charlie interesting. I once read – I can’t remember where – that your sibling is your best friend and your worst enemy. I thought deWitt did a great job capturing the complexity of that relationship (which might be why it’s a favorite among the ladies?). Ultimately I agree with your assessment. As much as I enjoyed the book I don’t think there’s enough there to get it onto the shortlist. I do think John C. Reilly would make a fantastic Eli though. tolmsted: I won’t be at all surprised to see it on the shortlist — partly because so many of the longlist are so weak. This is not the traditional Booker novel but there is no doubt that deWitt has produced a new take on the Western that is worth reading. And I have to say, some weeks after reading it, that a number of scenes remain very fresh in memory, which is always a good sign. I was pleased when this novel was longlisted as it sounded very good and I almost probably would not have known about it otherwise. And now, based on reviews I’ve read of the longlisted books, am I right to say it’s actually one of the best novels of the longlist? Crake: Certainly a lot of readers have been impressed by the novel and would rank it ahead of many others. I am one of them but you’ll have to wait a bit before I’ll put up my ranking. As for the jury itself, given the very strange longlist I would even hazard a wild guess on what their shortlist might look like. Still can’t decide whether to give this a go or not…I enjoyed Holmes on the Range, a mystery set in the 1890s & featuring two brothers who are cowboys – but that didn’t have any pretensions of being serious literature. Debbie: Well, I don’t think this novel has pretensions about being serious literature. On the other hand, it is not a traditional Western mystery or even story — it is much more a character study that happens to be set in the traditional Western format. That’s one reason why I think so many readers think it will make a good move since it offers much scope to the actor (I presume John Reilly) who plays Eli. Patrick deWitt’s The Sisters Brothers won the 2011 Writers’ Trust Prize for fiction on Nov. 1. 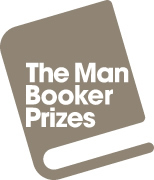 Also on the shortlist were the Giller and Booker shortlisted Half Blood Blues by Esi Edugyan and two Giller longlisted titles, The Meagre Tarmac by Clark Blaise and The Beggar’s Garden by Michael Christie.) deWitt becomes the first author to break the “triple” curse — previous titles shortlisted for all three of Canada’s major fiction prizes have ended up winning none. This “Bonnie” wasn’t impressed.I dislike farce in plays and after reading these comments think maybe that was what didn’t allow me to get involved in “Sisters Brothers”. I however did really get involved in “Half Blood Blues.” Maybe it’s the lack of reality in the “Sisters Brothers”….or that “Half Blood Blues” is more literary/arty/wahtever. I love reading all the award winners but do have a problem understanding what criteria they use.”The Sisters Brothers” might make a good film but I doubt it would make a good play. Marilyn: I am a bit surprised that more readers have not reacted to The Sisters Brothers the way that you did — some aspects of the book do require a fair bit of “give” from the reader. Half Blood Blues, I would argue, has the same characteristic, although a different set of “gives”. I ranked Edogyan ahead of DeWitt in our Shadow Giller but I think that says more about my taste than it does about either book.